Our Sports Therapy Certified programs will get you back in the game. From professional, competitive athletes, to “Weekend Warriors,” to high school, college, senior, and recreational athletes, our Physical Therapists, under the supervision of Sports Therapy Certified (STC) and NSCA-Certified Strength & Conditioning Specialist (CSCS) Dr. James Pumarada and NSCA-Certified Strength & Conditioning Specialist (CSCS) Dr. Asha Koshy, create the most dynamic Physical Therapy programs using the latest methodologies and state-of-the-art equipment, including the AlterG Anti-Gravity Treadmill, ensuring the best possible outcomes. 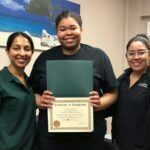 After your initial visit, your Physical Therapist will create an individualized Physical Therapy program specifically geared towards your sport, that will focus on the main areas of pain relief, patient education on form, strengthening, and, most importantly, prevention of further injury. At the completion of a course of therapy, patients can be sure that they will have all the tools necessary to compete at the highest levels of their chosen sport with minimal pain and the knowledge to prevent re-injury. “After the course of my therapy, I definitely feel a huge improvement. I feel amazing. As far as my ability to perform at my sports, I feel like Physical Therapy has helped me so much. If I do get injured in the future, I know where to go. If you guys want to get taken care of, you’ve come to the right spot! 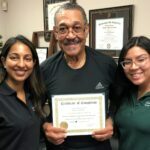 With over 15+ years of treatment experience, our Physical Therapists have extensive experience in treating a wide range of conditions and injuries stemming from participation in numerous sports, including baseball, basketball, football, hockey, running, martial arts, soccer, golf, tennis, and crossfit. At Complete, we’ve focused on training and Physical Therapy for runners of all experience levels, featuring the only AlterG Treadmills in Elizabeth and Jersey City.